This article is about Y. Frank Freeman the film company executive. For the architect, see Frank Freeman. 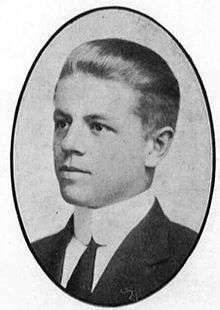 Young Frank Freeman (14 December 1890 – 6 February 1969) was an American film company executive for Paramount Pictures. Freeman graduated from the Georgia Institute of Technology in 1910. In addition to his work with Paramount, he also worked in the fields of banking, higher education, and athletics. He was the first winner of the Jean Hersholt Humanitarian Award. Archives, Library and Information Center. "Y. Frank Freeman Papers (MS #003)". Georgia Institute of Technology. Archived from the original on June 21, 2010. Retrieved 2009-01-20. "Y. Franh [sic]Freeman Dies at 78; Retired Paramount Executive". The New York Times. 7 February 1969. p. 37. Retrieved 2008-01-17.